I was reading an article by Donald Haynes this morning where he starts by quoting that famous aphorism “Those who cannot remember the past are condemned to repeat it.” I respectfully disagree with Haynes and Santayana. I say this as a person who did a full concentration in history at Albright College. In one of my introductory classes at Albright on American history, the professor (who I greatly respect) spent a fair amount of time defending the value of concentrating in history. One of his arguments was Santayana’s aphorism. At the time it sounded appealing. On the surface it seems to make sense. When you use the right hermeneutical lens, smooth out the rough places, and overlook the contradictions, you might be able to point to a situation that looks similar to a different situation and say that history repeated itself. In a religious studies class (I did a full concentration in religious studies as well) I mentioned the aphorism. The professor looked at me incredulously and challenged me on how that could possibly be true. I thought about it for a good while and I was stumped. When I was honest with myself I could not think of a good example. History does not repeat itself. There will never be another Waterloo. Julius Caesar will not have to experiance another Ides of March. Joan of Arc will not be challenging the parochial powers anytime soon. Even if you believe Gandhi will be reincarnated, India is already free. Unfortunately there will never be another “I’ve Been to the Mountaintop” speech/sermon. As much as some people would want another Ronald Reagan, “the Gipper” will not be ascending/descending from Republican hell/heaven anytime soon. Not knowing about people, places, or events does not inherently mean that the person or event will repeat itself. It cannot inherently. This is not to say that the study of the history of is a worthless pursuit. Memory is important. We can derive lessons from history. Understanding the past helps shape our understanding of the present. Knowing what has happened might help us make better decisions in the present. The problem with the aphorism is that it is a power game. We often use it as leverage. It sounds true. The person using it sounds like an authority. People with some apparent knowledge wield it against people who are afraid they might not know enough. We live in a world where we wish for the “Good Old Days.” Many people believe the past was better than the present. Our culture loves the notion of the original. Somehow the first or the genesis was the peak and everything has been downhill from there. Whether it is the Supreme Court’s strict constructionists or the Tea Party movement, we some how think there was this time in history that was the paragon of human thought (or at least their understanding of that time) and any deviation from that understanding is folly. History then becomes a weapon. Things were great back then. If we could just go back to those basic principles then we could return to the “Good Old Days.” We use our understanding of history as a weapon against our opponents. Santayana’s aphorism or the flawed thinking behind it exacerbates this. In the church we do this too. If we could just go back to Wesley, the early church, or Jesus, all will be well. When we do not like the church’s current direction, we use history as a weapon. Our current problem is history repeating itself. If we could just go back to the Garden of Eden. In the debate about church vitality we talk about numbers and statistics. We often use the past as a way of justifying our position. People say things like “Wesley and the early Methodists kept statistics” and “they did not tolerate ineffectiveness.” We cherry pick what we like about the past, use if to justify current actions, and smooth over the differences in time, culture, and systems. History is not only a weapon we can use to defend our position, but a magic incantation. If we just perform the right ritual from the past, we can recreate perceived successes from the past. As a church we should look at history. We have a rich and deep history. There are times to remember when the church carried out the Great Commission in ways that were Good News for all nations. Church history also has periods though when we need to confess that we were not what God has called us to be. Lessons can be derived from the good and the bad. History though will not repeat itself. We should not put our trust and hope in history. Our trust and hope is in God. One of my favorite parts of the United Methodist Great Thanksgiving is when the celebrant prays, “when the Lord Jesus ascended, he promised to be with us always, in the power of your Word and Holy Spirit. We do not need history to find Jesus. Jesus is with us in the power of God’s Word and in the person of the Holy Spirit. We have what all that we need. History does not repeat itself. At its most innocent, the aporishm is silly. The aphorism becomes devious though when history is used as a weapon. Simplistic understandings of the past will not help us much in the present. Better understanding our complex history might help us make better decisions in the present, but it will not save us from the past, present, or the future. 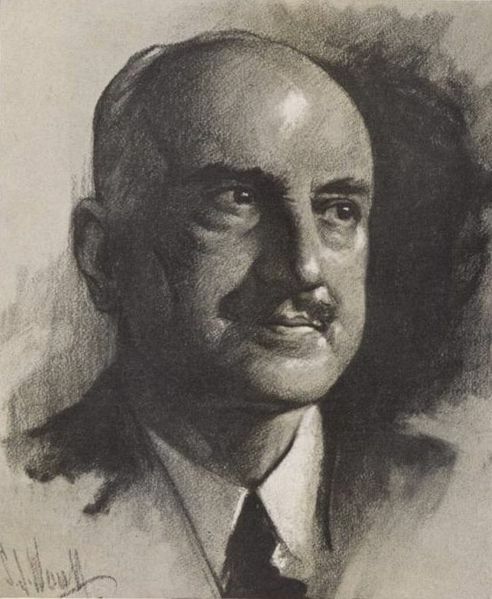 George Santayana. Image is in the public domain.